The Charterhouse was built in 1371, as a Carthusian monastery, which flourished throughout the later medieval and early Tudor period. With the dissolution of the monasteries, the Charterhouse became a mansion for wealthy noblemen and a refuge for royalty. 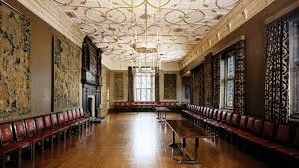 Elizabeth I met the Privy Council here in the days before her coronation in 1558 and James I used the Great Chamber to create 130 new Barons before he was crowned. 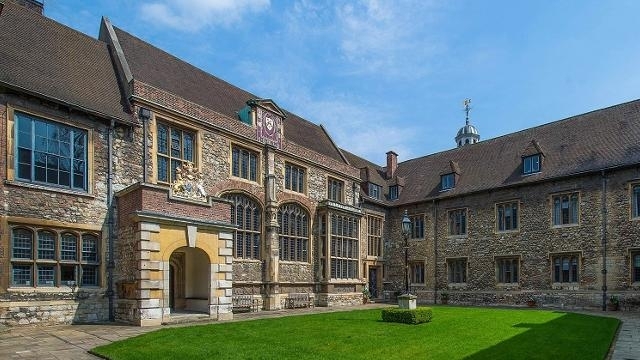 In 1611 Thomas Sutton bought the Charterhouse and established the foundation that now bears his name. Join us on Friday 26 April for our Gala Night performance at the Charterhouse in Clerkenwell. Discover the rich history of this 650-year-old building with tours and talks, all the while enjoying our delicious reception of wine and canapés. During the interval we invite you to join us for more complimentary drinks, and following the final Act we’ll be joined by the creative team and cast of Mary, Queen of Scots, for a post-show talk. Tickets also include a complimentary programme, the opportunity for an audience with our two Queens and a donation towards OperaUpClose. We have now released further tickets at £65 for our Gala Night. Tickets include a complimentary programme, a post-show talk with the creatives following the performance, and an opportunity to meet the cast. Ticket includes: complimentary drinks and canapés; complimentary programme; tour of the Charterhouse; post-show discussion with the Creatives; opportunity for an audience with the cast following the performance. This ticket includes: a reserved seat in BAND A; a complimentary drink upon arrival; a complimentary programme; and a tour of the Charterhouse. Please note that the historic buildings of the Charterhouse include some uneven surfaces and a cobbled courtyard. We therefore advise audience members to wear sensible footwear and dress appropriately. There are easy alternative routes for wheelchair users on all stops on the tour and for the performance space. There are accessible toilet facilities in the reception area of the museum. More BAND A tickets are due to be released on Tuesday 23 April. Sign up to the waiting list below. Thank you! We’ll be in touch on 23rd April if you’ve got a space.